Step 1: From your home screen select Ecommerce, then Shipping Charges. Step 2: Select a New Shipping Method. Step 3: Select a New Shipping Method. Step 4: Check the box you want to use for the collection method. 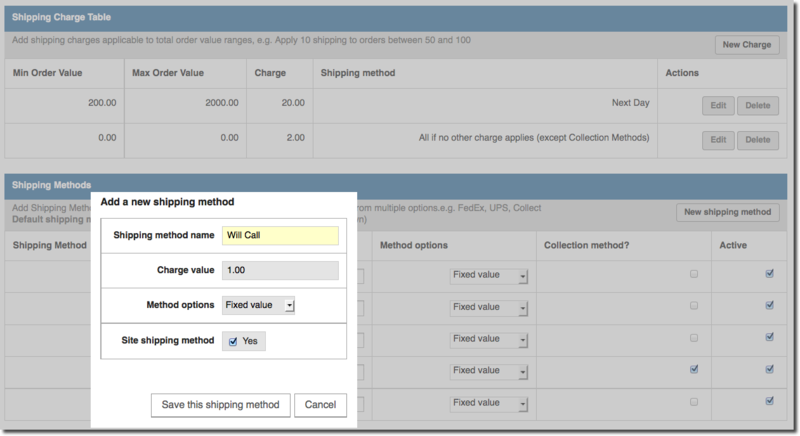 Step 5: Your customer can now select the new collection method.